Xylitol is a natural sweetener that is gaining popularity as an ingredient to fight tooth decay. Xylitol is commonly found in sugar-free gums because not only does it prevent dental cavities, it actually helps reverse the tooth decay process. If that wasn’t enough for you, if xylitol is used to cook with instead of sugar, it will result in weight loss due to the much lower calories it contains. After reading this article, you’ll not only understand why dentists recommend xylitol for teeth, but also how xylitol will help you lose weight. Why is sugar so bad for your teeth? If you are like most people when you think of sugar you picture the white table sugar that you put in your cup of coffee, sprinkle over your cereal and is used to make candy. The technical name for table sugar is sucrose. 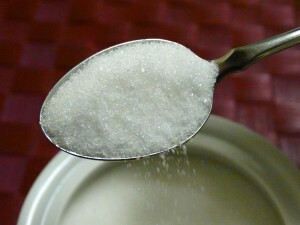 Other common sugars are glucose and fructose. Glucose is the sugar that is found in our blood and fructose is the main sugar found in fruit. Sucrose, glucose and fructose contribute to tooth decay by acting as a food source for the bacteria living on your teeth. After the bacteria eat the sugar they excrete acid which dissolves the tooth enamel and results in a cavity in the tooth. Sugar causes an acid environment in your mouth, resulting in dissolving the calcium in enamel and a hole in the tooth. Of these sugars, sucrose is by far the worst of them because it causes the bacteria to not only secrete acid, but to produce a sticky acid which is not washed away by saliva. This sticky acid produced by common table sugar, sucrose, is the main reason we need to brush our teeth. Fructose and glucose are found naturally in fruit, but in low levels and they produce an acid that is quickly washed away by your saliva, so when you eat whole fruit you don’t need to worry about getting dental cavities. You should continue to eat fruits of course because they are obviously very good for you. As I alluded to earlier, every time sugar is consumed, the acidity goes up in the mouth and then slowly decreases as saliva washes it away. 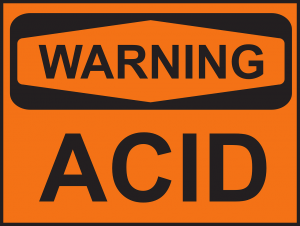 When the acid is high the calcium washes out of your tooth and then as the acidity gradually decreases the calcium re-enters the tooth. 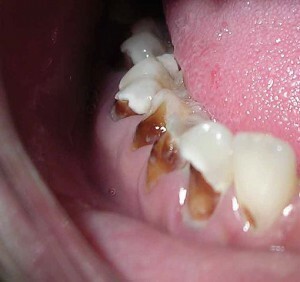 When you eat sugar multiple times a day and between meals the tooth is constantly losing minerals and only regains them when the acidity returns to normal about half an hour after consuming sugar. Sugar is converted into acid by the bacteria in your mouth. Therefore, it is the number of times sugar is consumed during the day that has the most important bearing on whether a tooth will get a hole in it or not. The amount of sugar is not so important. Xylitol is a sugar that is actually good for your teeth! Xylitol is good for your teeth. Xylitol is a type of sugar called a polyalcohol. Other types of polyalcohols are mannitol and sorbitol. All polyalcohol sugars are good for the teeth because unlike sucrose, fructose and glucose, they are not converted into acid in the mouth. You will often see xylitol, sorbitol and mannitol in sugar free gum. The best polyalcohol sugar for your teeth is xylitol. 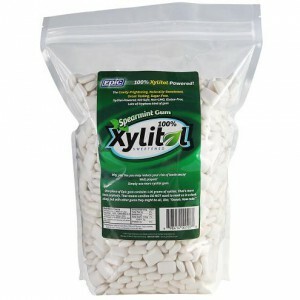 Xylitol is a natural sugar and is found in many fruits and vegetables. So if you are worried that xylitol is an artificial sweetener you can relax! Personally, I don’t have a problem with artificial sweeteners, but I fully understand that people are worried and the question of whether artificial sweeteners are safe or not is still controversial. 1) Xylitol kills the bacteria that are responsible for tooth decay. The bacteria that cause dental decay are unable to use xylitol as a food. These bacteria not only can’t use the xylitol for food, the xylitol also interferes with the ability of the bacteria to take up other sugars to feed on and the bacteria dies. 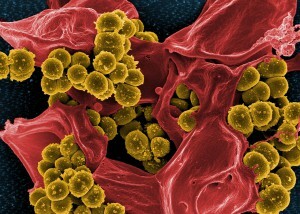 Xylitol starves bacteria to death! 2)Xylitol is sweet and stimulates salivation which lowers the acidity in your mouth. 3)Xylitol helps adds the minerals back into your teeth. Xylitol achieves this by increasing the amount of calcium absorbed through your stomach. 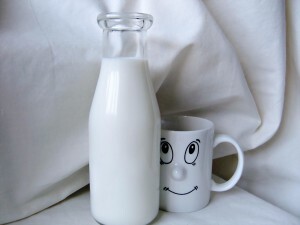 The more calcium you absorb from your diet, the more calcium there is contained in your saliva. For Xylitol to be effective at preventing tooth decay, researchers recommend getting at least 6 grams of it in your diet per day. This can easily be achieved with the use of xylitol gums and mints. The use of xylitol in toothpaste may also help prevent tooth decay. How does xylitol help people lose weight? Xylitol has forty percent fewer calories than normal sugar, but is about the same sweetness. This is fantastic news for people with a sweet tooth. Imagine if you could use xylitol instead of normal sugar in your favorite sugary recipes? The less calories you consume, the more weight you will lose! Losing weight with Xylitol. Xylitol has forty percent less calories than normal sugar. Also, Xylitol is absorbed at about a third of the rate of normal sugar, so has a low glycaemic index. 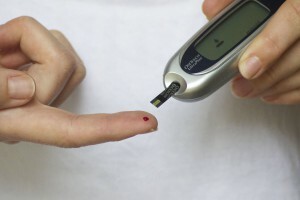 The low glycaemic index as well as the low calories of xylitol compared with normal sugar make it particularly suitable for use in diabetics as well as people trying to lose weight. Diabetics should use xylitol as their sweetener as it doesn’t elevate blood sugar levels. Xylitol is proven to be perfectly safe to use in diabetics. If you have diabetes and want to enjoy sweet foods again without causing dangerously high blood sugar levels, then consider using xylitol. Can I use xylitol instead of sugar in my cooking? Xylitol can be used for cooking, but not for making bread. That’s because the yeasts used to make bread need normal sugars to work. With the exception of baking bread xylitol can be used instead of sugar. Although the sweetness is about the same as table sugar, you will have to change the amount you add to your recipes more or less to get the same sweetness in your cooking. It won’t take you long to adjust to the difference. 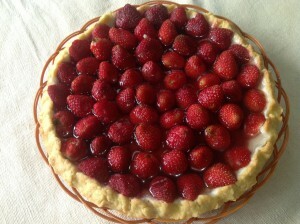 Xylitol can be used instead of table sugar in your cooking. That’s great, but is Xylitol safe to use in such large quantities? Xylitol is not toxic to humans, but it can cause diarrhoea and gas if used in large quantities without easing into it first. For most people these symptoms disappear after a few weeks of continued use and they can safely consume up to a pound of xylitol per day with no side effects. A pound of xylitol is much more than most people would ever consume in one day! Xylitol is toxic to dogs though, so make sure you don’t feed any to your beloved pooch! 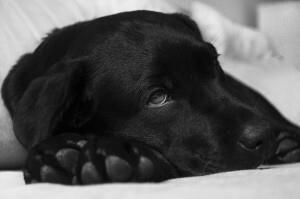 About 50 grams or above of xylitol may be fatal to a dog. Xylitol is toxic for dogs! Thanks for reading why I think xylitol is a great way to prevent tooth decay and lose weight. I hope you consider using it yourself if you want to lose weight or have a problem with tooth decay. If you have any questions about xylitol or any experience using it you’d like to share please do so in the comments section and I will get back to you. If you want to get some xylitol for yourself, you can read my review on Epic Dental who make the highest quality xylitol products. This entry was posted in Oral Hygiene, Prevent Tooth Decay on November 16, 2015 by David. Great post, I got some valuable info from this, I didn´t knew before. Keep up the good work and I definitely return to visit you page again. Thank you. Glad you found the information valuable. I had no idea Xylitol could actually reverse tooth decay! How do you usually prefer to use this stuff? In gum or powder? I’m pretty interested in finding some to try out, where do you get it? I prefer to use it as a gum after I have a meal, but when cooking with it obviously you will need to use it in powder form. It looks very similar to sugar and tastes about the same sweetness, so is easily substituted in place of sugar without affecting the sweetness too much. 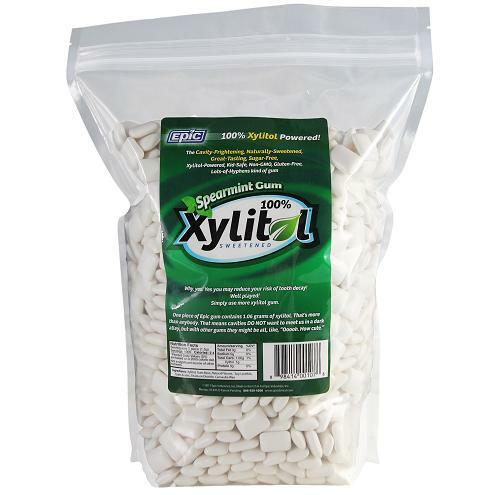 You can get xylitol from Epic Dental and they have some great information on the site as well on how to cook with xylitol. That’s great you still have all your teeth! That’s a really good idea to ease into the use of xylitol because in some people it can cause stomach upset if they don’t gradually increase the amount. You shouldn’t have any problems taking 6 grams of xylitol a day though. This is the minimum amount needed to get the full dental benefit. Like I mentioned in the article most people can take a lot more xylitol than that, in fact up to a pound a day without any problems. That is a ridiculous amount and I don’t expect many people would actually consume that much sugar in a day anyway! This Xylitol stuff does sound great. It’s amazing in an ironic kind of way that a sweetener can actually be good for your teeth! I have a question: Is Xylitol from a natural source such as a plant or is it synthetic? Thanks very much, I hope you can answer my question as I am very curious about this stuff. I agree, it’s weird that xylitol, which is a type of sugar, is actually good for your teeth isn’t it? Xylitol is a natural product, it can be found in plants and is high in corn and fruit. The company I recommend for your xylitol is Epic Dental and they get their xylitol from corn. The corn is not genetically modified and they don’t use chemical pesticides or fertilizers in the production of the corn. Very thorough article on xylitol! I kept thinking I had never heard of it until you mentioned Xylitol gum (that I have heard about and seen). I had no idea a sweetener such as Xylitol could have actual health benefits. The use of sweeteners is still controversial (as some will argue of their side effects and possible health complications) but I personally have no problem with them. Especially if they help with the health of your teeth! I did not know that it was the frequency of eating sugar that is the problem and not the quantity. I will certainly keep that one in mind. Thank you for your comment. Yes, I was surprised about the health benefits of xylitol as well. I have known for a long time that xylitol is good for preventing tooth decay, but I didn’t realize you can use it for cooking as well and that it is very low in calories. I also didn’t know it is a natural product. I thought it was like aspartame, but it isn’t and is found naturally in plant products like fruit and corn. Glad you understood the thing about frequency of sugar intake being the problem rather than the quantity. I am always telling my patients (from a dental point of view) that I prefer they drink 2L of coke in one 10min session than to sip on a small bottle multiple times during the day. Wow. I need to get some of that Xylitol. I have really bad teeth. Go for it! You won’t regret it.